Every Dentist's dream! 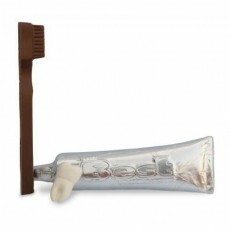 3.68 oz Clear cello bag filled with 1 chocolate toothbrush, 1 chocolate foil wrapped tube of toothpaste and 1 chocolate tooth. Mix and match chocolate flavors for no additional charge. Tied with ribbon color of your choice.